Just around the corner from the stunning and huge Plaza Mayor in Almagro is another fabulous old building. The 16th century coaching inn Hotel Posada Los Caballos is a step-back in time. This typical merchants house around a huge patio was typical in its day. Beautifully preserved, furnished with antiques and rustic furniture in keeping the only thing missing is our attire. But you can borrow period costumes and take photos in this wonderful setting. This is a famous theatre town and Posada Los Caballeros holds free theatre performances in the patio during July. Lovers of wood and charm will thoroughly enjoy the history here and staying in one of the ten galleried rooms. Oozing atmosphere and well-loved knick knacks the owners will look after you as they do their gorgeous hotel. Visit Posada los Caballeros website, it’s only in Spanish. 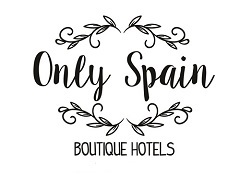 Have you visited a great hotel in or around Castilla- La Mancha that you’d like to recommend?